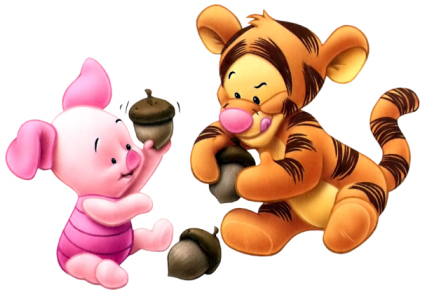 Baby Tigger and Piglet. . Wallpaper and background images in the winnie the pooh club tagged: winnie the pooh. Tigger is so determined and Piglet is just having fun! Cute! I love this picture too ! So cute here !